If you’re over the age of 35, you probably just had a flashback to hearing Rennert’s strike three call in the background of radio broadcasts. 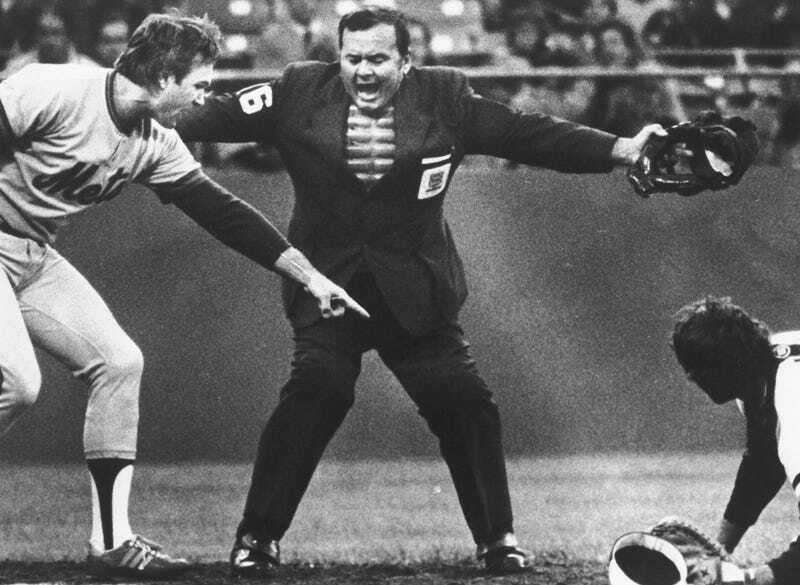 But he wasn’t just the loudest ump; he was the most theatrical, too, taking that deep lunge toward the first-base dugout—it probably inspired Leslie Nielsen’s bit in The Naked Gun. 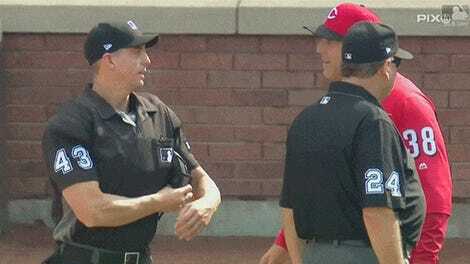 Bryan Price And Umpires Pause Argument For "God Bless America"